Home Health News Keep personal care things personal! Here’s what not to share! What do you do when your best friend says, “Can I borrow your eyeliner, lip gloss or soap? Fear that we might just end up looking like germ freaks makes it extremely hard to say no! While sharing of some personal items and products brings about a sense of togetherness, there are others that can transfer disease-causing germs from one place to the next. It’s a common presumption that if somebody looks healthy, he must be healthy. But the truth is we can’t always tell by looking at someone if they’re infected! Though diseases are not easily communicable, why take the risk? Here are a few personal care items you might want to consider not sharing with others. Letting someone rub their stinky pits on your personal deodorant is not only gross but it can’t be healthy — can it? Antiperspirants do not contain germs-killing properties as they only work in decreasing the amount of perspiration. Sharing a roll-on antiperspirant can easily transfer germs, bacteria, yeast or fungi from person to person due to its contact with other’s sweat. The razor is an offender in spreading blood-transmitted viruses like hepatitis B. Experts caution against sharing of anything that might have contact with blood. Since shaving can cause tiny nicks in the skin which may or may not produce blood, it is wise to play safe and not share razors. Moreover, virus and bacteria thrive on the razor and can spread by sharing the item. Fungal infections of the feet that cause peeling and itching between toes are contagious and spread easily from person to person. Sharing socks, shoes and bath mats can also spread infection. You should refrain from sharing manicure tools at a salon as well as with your pals. If cuticles around the fingers and toenails are cut or callused skin is removed it can result in little cuts in the skin and leave microscopic specks of blood or body fluid on them. Nail clippers, buffers and files that haven’t been properly sanitized between users can transmit germs and bacteria. Hepatitis C, staph infections and warts can all multiply this way. Sharing of earphones is a potential cause of aural hygiene problems and infection in the ear canal. Bacterial transfer increases with frequent and continuous use and the odds of it being transferred is high when people tend to share earphones while listening to music. Over-the-ear headphones can also pass along lice. Swiping your friend’s mascara and lipstick tubes can trigger obvious infection, like pinkeye or a cold sore. Yikes! By using makeup that other people have stuck their fingers in, one can become infected. 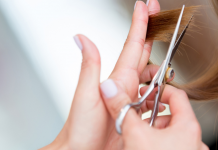 Also, commonly shared products like combs and brushes can spread fungal infections of the scalp, hair and skin. Though, a bar of soap is believed to be self cleansing, it is one of the most unhygienic items to share. According to a 2006 study, sharing a soap bar is a source of continuous reinfection. This may be because bars of soap don’t usually dry completely between uses which leads to accumulation of bacteria, fungi and yeast. Besides, bathing soaps are particularly unhygienic since we use them on intimate areas of our body. Sharing earrings and piercing jewelry is not exactly a good idea. Odds are that such adornments come into contact with blood or body fluids which can carry serious diseases that you could be saddled with for the rest of your life. Previous articleWhy is green tea so healthy? Next articleHow to maintain a good eye health?